Most people know M. Night Shyamalan as the guy who peaked early with The Sixth Sense, trotted out some semi-respectable storylines in Unbreakable, Signs, and The Village, and then made a series of bad films (The Lady in the Water, The Happening, The Last Airbender, After Earth) that were unintentionally hilarious. 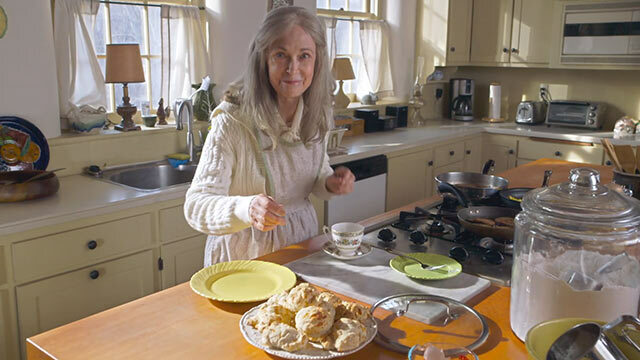 With The Visit he has supposedly strived to create a hybrid of horror and comedy, but you can’t help but think that’s just a disclaimer so he won’t get burnt again. When their mother (Kathryn Hahn) makes independent holiday plans, siblings Rebecca (Olivia De Bonge) and Tyler (Ed Oxenbould) go to stay with their grandparents. Having never met them before, their mother warns them that they’re pretty weird. On their first night they’re told that bed time is 9:30pm, but rebels that they are, the two teenagers sneak out, uncovering some unusual behaviour by their Nana (Deanna Dunagan) and Pop-Pop (Peter McRobbie). 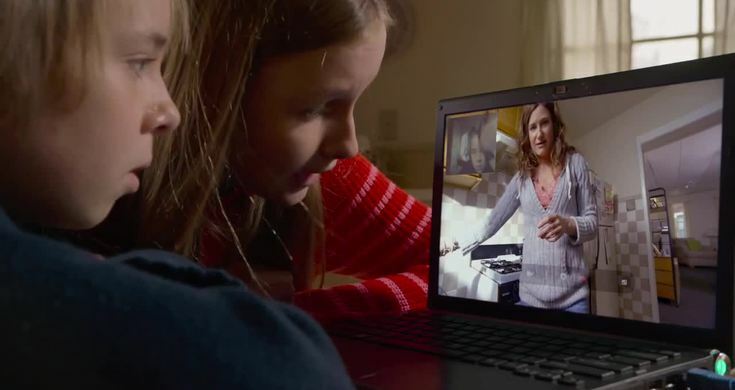 Voicing their concerns to their mother over Skype, she dismisses them by stating that their grandparents are “just old!” (one of the deliberate jokes?) But the kids are not convinced, and they attempt to uncover the truth. Much of the film is shown through the lens of aspiring filmmaker Rebecca’s camera as she attempts to make a documentary. 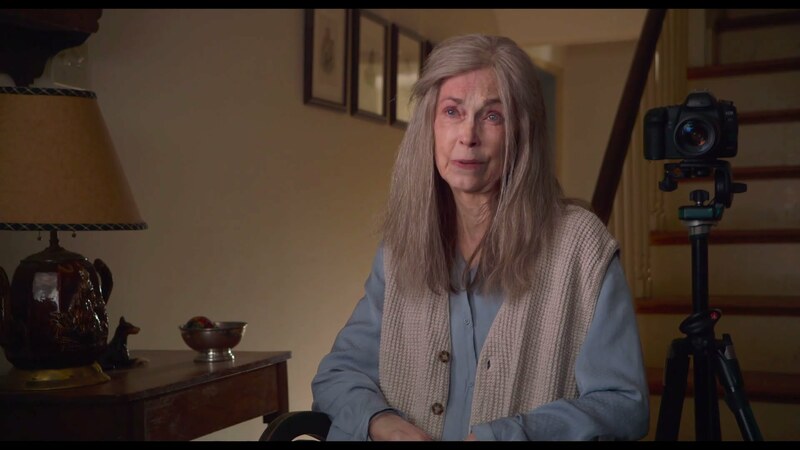 The found footage angle is effective at times – particularly when the camera is just lying on a surface as opposed to being held – but overall it grows old as there’s only so much shaky cam one can take. Olivia De Bonge and Ed Oxenbould are often awkward in their delivery, though you could argue that’s because their characters are playing it up for the film within the film (no one seems completely natural when someone sticks a camcorder in their face). There’s something intrinsically scary about the elderly (remember that scene in The Others?) 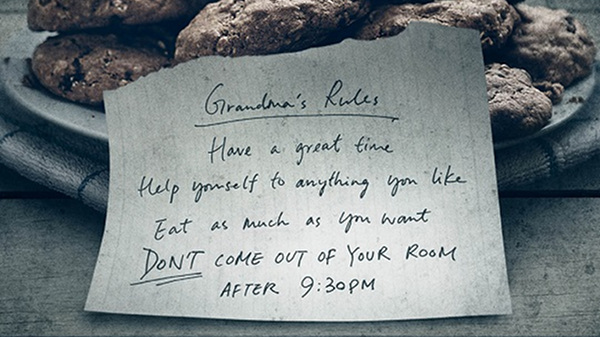 and The Visit takes the idea of visiting your weird grandparents to a whole new level. These folks go beyond the usual false teeth and gross cooking, and when these grandparents make you cry, it’s for more than just criticising your weight. Deanna Dunagan and Peter McRobbie play both sets of personalities convincing – sweet as pie one minute, and terrifying the next. Shyamalan builds the tension slowly but surely, lulling the viewer into a false sense of security that maybe things aren’t really going to get too bad. The film is broken up into days, and just when the night time scenes get a little freaky-deaky, we soon cut to morning, and it seems like it’s only going to go so far. But at its climax it gets crazy as hell and is shocking in its boldness. The worst moment isn’t so much as scary but just disgusting. Whether this was one example of Shyamalan attempting to be comedic is unclear. The film has a couple of funny moments, but to call it a horror-comedy is inaccurate. This is no Shaun of the Dead laugh fest. It really doesn’t sound that hard. We’ve come to expect a big twist in any film by Shyamalan, and while this one still sends a chill down the spine when it’s revealed, it’s rather easy to guess. Some viewers with an eye for detail may have even picked up on it from the trailer alone. Shyamalan doesn’t get bogged down in explaining the details, but rather manages to rush through the revelation almost too quickly, so that the film doesn’t feel like it’s been wrapped up the way it should. Without giving anything away, a couple of things in the final scenes didn’t quite ring true either. Shyamalan doesn’t seem to realise that trauma is a thing. 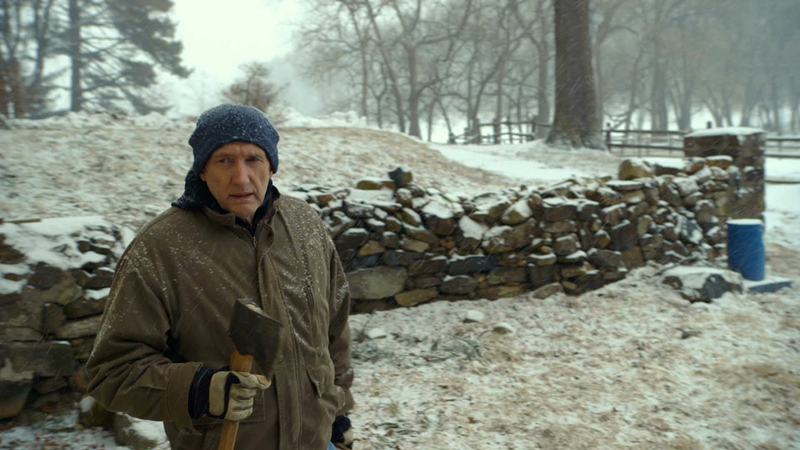 Tension-wise, Shyamalan nails it, and The Visit is enjoyable enough for those wanting a good scare. But as for whether it’s a comedy – that premise alone is the biggest laugh. Good review. Nice to see M. Night making a good movie for once. Not great, but at least enjoyable enough of a watch. Nice to see another film blerger, too.